Employee & Customer Experience Why do customers buy? Do you really know why customers stop buying from you? Do they send you an email telling you that they are going elsewhere and explain why? 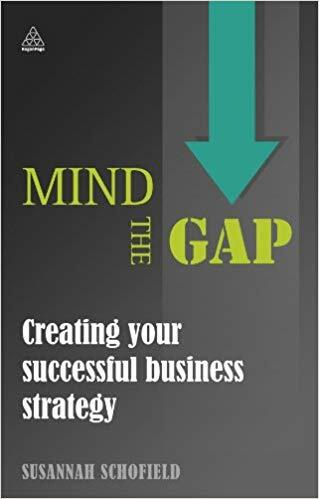 In this lesson; Susannah Schofield, author of Mind the Gap, discusses ways in which a company can ensure that it truly understands why people buy from it. Grant Leboff: How does a company ensure that it truly understands why people buy from it? What the great strengths of it are, and also the alternative, which is some of its Achilles heel? I know as a marketer, doing strategic work with companies, I’ll often go in and they really don’t have a good understanding – especially when I then look at what else is going on – with why their customers keep coming back or come to them in the first place? Susannah Schofield: Terrifyingly, there’s a statistic out there that actually 63 percent of customers don’t return. They just walk away and they never complained. So 63 percent leaving without complaining, is a terrifying statistic because there’s no way of mapping that or knowing it’s going to happen. And I know, as a consumer myself, I tend not to ring the company that makes my foundation and say, ‘I’m leaving now. I’m off to get…’ or whatever it is, those bits that I’m not actually going to contact them and tell them I’m off. I just leave and find another replacement. But we all creatures of habit. As a nature, you know, we’ll go to the same exercise bike in the gym, we’ll go to the same lift that we’ve used when we stay in a hotel. We tend to go back because we are creatures of habit. So understanding some of that is quite important when you’re marketing, and you’ll know this, that actually if you do the repeat, there must be something quite catastrophic to be going wrong for somebody to actually say, ‘I’ve had a relationship with this business, I’ve bought into what they do and actually now I’m going to leave, because the transaction no longer works for me’. So to understand that, is really, really important, but I also think you have to step back a little bit from there because you have to understand what, as you say, that relationship at the beginning was. What drove you to that company, what drove you to want to make you do that? And I think just measuring all the time is the key to this. You just absolutely have to go at it. You have to ask people. For some reason we’re terribly British and; Oh, we shouldn’t ask them why they like our products. Why not? Let’s just go and ask. It’s just got to say, what is it? What is it that makes you use us and what can we do to make you tell your friends to come use us as well? What is it that some, you know, that we really embody? Is it our brand, is our product, is our delivery service? Let’s go out and ask. We base our entire business on just asking and listening. That’s all we do. We measure the perception versus reality, but we ask and we listen. If you can drive that into everybody who works in your organisation, it’s a great place to be. There are some really simplistic things and they’ve run some amazing tests. If you play Pavarotti in a wine merchant, the average bottle of wine goes up in value. On the back of an Ebay, if you put a red background, not a blue background, it’s bought quicker because of the psychology of our brains. If we walk into a shop and we’re in a hurry, we went round a different way to if we’re browsing, If we know all of that as an organisation, we can then start to utilise that to the best of our ability, but we’ll only know that by asking. We’ll only know by gathering that data and really getting under the skin of what our customers want and for some reason we’re just afraid to ask. Grant Leboff: Are there obvious ways that you see companies then using that data effectively? Because a company finds out that everybody buys because of ‘X’. OK, so now we know, but what do they then do to leverage that? Are there other things that you see companies do, and equally if you can see why customers are leaving – and there’s a specific reason or set of reasons why customers are leaving – have you actually seen companies that then turn that around and use that data? And how do they do that? Susannah Schofield: One of the best things, one of the best use of the data I think is just by being so honest. There was a company saying, we’re terrified to tell you 55 percent of our customers walked away because of this or here’s what we’ve done – and just hit it on the head. It’s one of those really awkward moments where; should we admit we were going wrong? But actually there’s so much information on social media now, that if you don’t admit it to your customers that you know it’s gone wrong, they’ll read it anyway. There’s now a brave state to go into a restaurant without pre-reading the reviews, isn’t it? You go onto your website and you have a look at how good that restaurant is. So you’ve made an assessment already. So actually just be brave and be very cautious when you do this and take advice from someone like yourself in marketing. But actually, do you know what, we didn’t get this right? We’re really sorry and here’s what we’ve done to put it right. That buys you a lot of credibility, it buys you understanding of your marketplace, buys you understanding of your customers, and your employees as well. Say, do you know what? Here’s what we’re going to put it right? And we’re all on the same page. And I think sometimes we’re afraid to admit we’re wrong. We very arrogantly carry on and say it wasn’t us, our supplier, let us down. We did this… hands up – here’s what we weren’t doing right, but here’s what we’re now doing. And I think for me, if you’ve got a nugget, don’t always put the 98 percent of customers will come back to us. The two percent that won’t. Here’s what we’ve done to address it and let’s be really honest about that. Grant Leboff: That’s interesting because, in some ways, you’d say, well it’s easier to fix a weakness because we can see we’re not good at something, so let’s change it. But what about a strength? So if a company gets something back and it says; everybody loves you because of this. Of course the danger is where they go, oh, we’re just going to keep doing this then because everybody loves it, but that in itself can lead to complacency. It can lead to being stale to other people copying… I can see how our company uses the weakness, because you changed that stuff, but how do you use those strengths to help the offer or help the business move forward? Susannah Schofield: I think you can still do it in the same way, but I think it’s about then going out and asking what would delight? So 98 percent of our customers love us because we do this, this and this, but love isn’t good. How do we delight you? How do we go above and beyond? What is it that we don’t do that we’re missing out? What is it that, maybe our competitors do that we don’t do that we could do? What are those dynamics? And I think it’s almost like throwing yourself down and open and saying, we love that you give us feedback, but give us more. It’s great to be perfect, but we want to be exceptional, so how do we go out and look at all of those opportunities and I think it’s the challenge, as you rightly say, of not letting complacency set in. The minute you say, we do that well so we can ignore that, that’s when you’ll stop doing it well because people won’t be rallying around anymore. So I think it’s; we do it well, but how do we do it better? How do we do it smarter, how do we do it faster or how do we extend that offering right the way down our customer chain? So we have our top 50 percent of customers who have key account management and are really well looked after, do the rest of our customers thought like that? What happening to the customer who only had one touch point and never used us again? Where’s the differentiator there and how do I measure that? So I think it’s that segmenting of the data, it’s the understanding of it all and it’s the making sure that every touch point in your organisation offers that exceptional experience.